Do you love to fish for tarpon? You’re in luck. That’s one of our specialties here at Captain Moe’s Lucky Fleet. Tarpon are thick-bodied fish that can grow up to eight feet long and weigh up to 280 pounds. Nicknamed “Silver King,” these fish sure are happy to thrash about. You’re in for the ride of your life! Here at Captain Moe’s, we’re passionate about tracking down these local fish and battling it out. In fact, this happens to be one of Key West’s biggest attractions. If you want to head to THE place for tarpon fishing in Key West, call us. 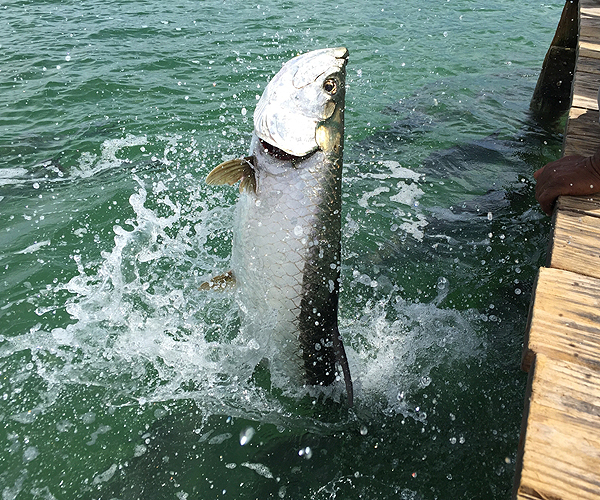 We see tarpon out and about all year round, but the best season to catch them is between the months of April and June. That’s because tarpon migration patterns bring hundreds of thousands of them through the waters of Key West. Imagine feeling that strong tug from your line! Tarpon are pretty feisty and tend to jump around, so be prepared for a fight. Because they set themselves apart in a fight, you’ll often spot a 150 lb fish jumping up to six feet out of the water. It’s no surprise, then, that they are able to quite easily throw hooks and break lines. As one of the most sought-after game fish on the planet, catching a tarpon is pretty big news. We can help you achieve your goals. Did you know Florida’s state record tarpon was caught in Key West back in 1975? It weighed a whopping 243 lbs. Think you can break Gus Bell’s record? Captain Moe’s Lucky Fleet is located in the Historic Seaport of Old Town Key West. 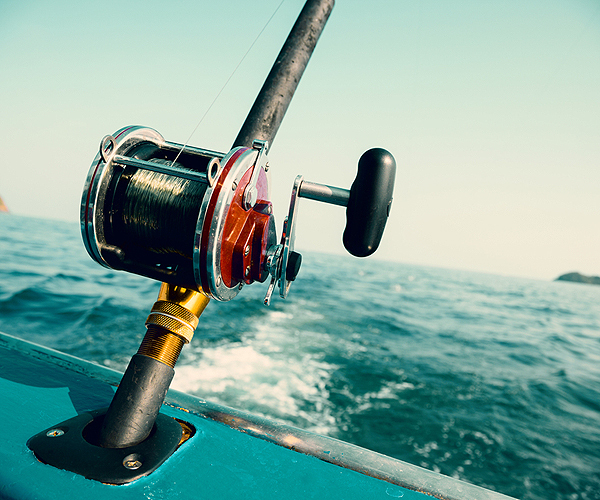 Our fleet consists of three boats called The Lucky Charm, Reel Lucky, and Reel Lucky Too. Call us soon to book your tarpon deep sea fishing trip. You can fill out our online form or get in touch with us at 305-304-8065. For your convenience, we are located at 201 Margaret Street in Key West.